FIGURE 1.44 Polishing the coal ball slab on a glass plate using abrasive powder. 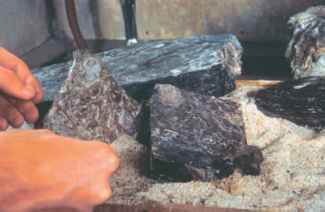 FIGURE 1.43 Several pieces of coal ball after sectioning. FIGURE 1.45 Etching the coal ball slab in dilute hydrochloric acid. 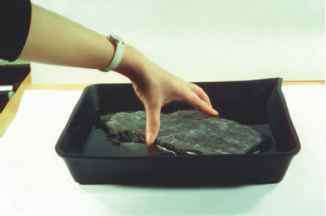 FIGURE 1.46 Etched surface of coal ball slab prior to flooding the surface with acetone. FIGURE 1.47 Rolling the acetate sheet into position on the coal ball slab. Bottle contains acetone. FIGURE 1.48 Removing the peel from the coal ball slab surface. FIGURE 1.49 Coal ball peel, left, and coal ball slab at right from which it was removed. castor oil, and ether was poured on the surface and allowed to dry (Darrah, 1936) (FIG. 1.50). This resulted in peels that were not uniform in thickness and were sometimes difficult to mount on microscope slides. 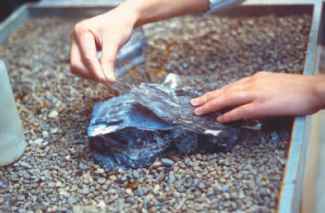 Another drawback was the amount of time required for the poured peels to dry on the coal ball surface, as compared with the approximately 20min required for cellulose-acetate-sheet peels to dry. 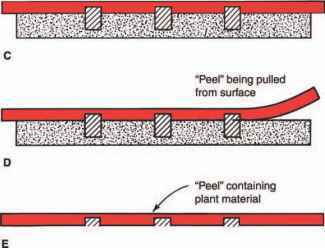 Despite these drawbacks, the poured peels may still be useful, especially when examining very delicate structures and surfaces that are irregular. 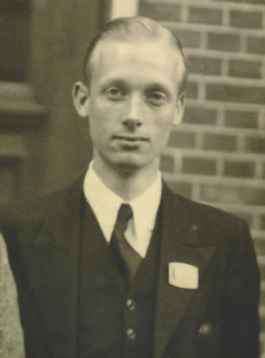 FIGURE 1.50 William C. Darrah. FIGURE 1.51 Collecting coal balls at a strip mine in southern Illinois. 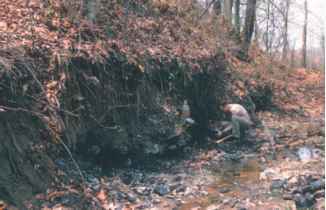 FIGURE 1.52 Digging coal balls from a stream bank in Illinois, USA. 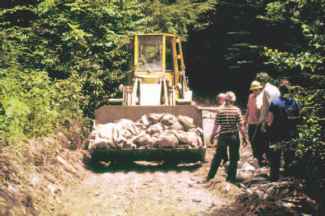 FIGURE 1.53 Transporting bags of coal balls from a site in Kentucky, USA. were nearly spherical, hence the name, coal ball, but they can be irregular in shape and range from a few centimeters across to many meters in thickness. Some of the oldest ones come from the upper Namurian (Upper Mississippian) of Germany and the Czech Republic, but they are also known from Permian coal deposits in China. They can be readily studied by means of the peel technique. The method of formation of coal balls has been examined by a number of paleobotanists (Falcon-Lang, 2008), beginning with Stopes and Watson (1908), but the process is still not fully understood. When fresh or partially decayed, the peat was infiltrated by carbonates (fibrous calcite) before there was extensive compaction of the plants within. Since some coal balls are associated with marine limestones, it has been suggested that the plants were growing in low-lying, swampy areas close to the sea, and this hypothesis fits with the paleogeography of Midcontinent North America during the Carboniferous. 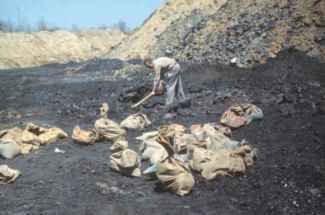 During storms or marine transgressions (Mamay and Yochelson, 1962), the coal swamp was inundated by seawater, which provided a source of calcium carbonate for permineralization. This hypothesis explains the mixed nature of some coal balls in which both plant and marine animal remains are preserved. Scott and Rex (1985) suggested that all coal balls are not formed by the same process and put forward a non-marine model of formation in which the permineralizing fluids are derived from percolating groundwater high in carbonates. Scott et al. (1996) examined the origin of Carboniferous and Permian coal balls from Euramerica and China and concluded that several different mechanisms were involved, depending on the region and the location of the coal balls within the coal seam. Based on carbon isotopes, they found that some coal balls involved a mixture of marine and meteoric fresh water percolating through the peat and noted that most coal balls formed in freshwater basins with at least some marine influence. There can be little doubt that the formation of coal balls was a highly specialized process, as none are known after the Carboniferous-Permian. To the coal miner these calcium carbonate coal balls represent impurities in the coal that are often termed "fault," but to the paleobotanist they provide a source of fascinating information that can be used to investigate the biology of the plants that lived in the peat swamps hundreds of millions of years ago. OTHER PERMINERALIZATIONS. Many perminer-alizations contain silica as the embedding mineral (FIG. 1.54). In fossil peat from Permian and Triassic rocks (FIGS. 1.55, 1.56) from the central Trans antarctic Mountains of Antarctica, the silica is in the form of chalcedony (Schopf, 1971). It is possible to make acetate peels of silica perminer-alizations; however, they must be etched in concentrated HF. When using HF, precise safety procedures (e.g., etching in a fume hood, proper gloves and other protective clothing, and eyewear) must be employed because of the very dangerous nature of this acid. 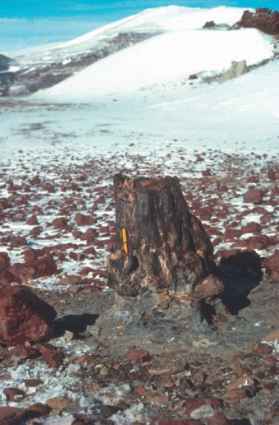 FIGURE 1.54 In situ stump of Triassic tree in Antarctica. Yellow pen for scale. FIGURE 1.55 Block of Triassic chert (orange color) from Antarctica. axes in bioplastic to examine internal anatomy (Aulenback and Braman, 1991; Serbet and Rothwell, 2006). 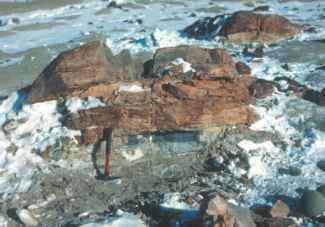 FIGURE 1.56 Block of permineralized peat from Antarctica showing root of Glossopteris, with wood wedges alternating with lacunae, Vertebraría (Permian). Bar = 2 cm. 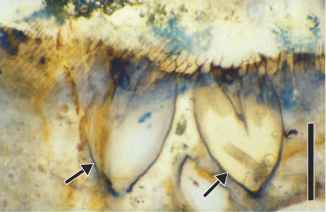 Figure 1.58 Spores of Cyathotheca tectata showing distal (left) and proximal surfaces, and distinct ornamentation (Pennsylvanian). Bar = 18|im. 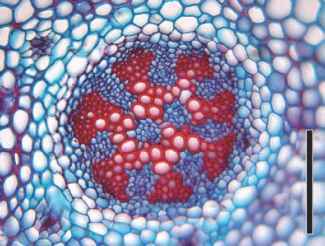 as starch grains, nuclei, various types of membranes, tap-etal deposits, and cells of seed-plant microgametophytes are known. 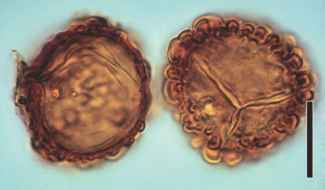 Spores of lycopsids and microspores of Pentoxylon have been interpreted as containing chromosomes (Brack-Hanes and Vaughn, 1978; Bonde et al., 2004). The flagellum of a chytrid zoospore (FIG. 3.20) (Taylor et al., 1992) and rotifers (FIG. 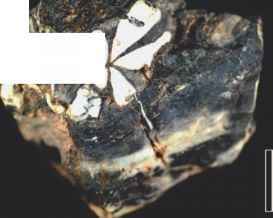 1.57) from the Rhyme chert, and sperm within the pollen chamber of a Permian seed (Nishida et al., 2003) have been described from permineralized plant remains. There are numerous examples of exceptionally well-preserved plant structures throughout this book. In some instances, the matrix of the permineralization is too crumbly to allow preparation of ground thin sections or does not lend itself to the peel technique. In such cases, it may be necessary to examine the cut and polished surface with reflected light. If a series of sections is necessary, one must make a photographic record or a series of drawings, because the specimen will be lost as it is continually ground away, leaving no actual record of each face examined. Cellular details can also be observed in a petrifaction. In this case, all of the original organic matter in the plant has been replaced by minerals. Many fossil woods, such as those from the Triassic Petrified Forest in Arizona and the Cerro Cuadrado (Jurassic) Petrified Forest in Patagonia, Argentina (FIG. 1.40), are preserved in this manner. It is necessary to make thin sections to study petrifactions, since the etching involved in producing a peel preparation would completely dissolve the specimen. Other techniques such as cathode-luminescence are providing a new source of information about silicified wood (Matysovâ et al., 2008). How to free fossil plant from rock acid?